In March 1965, the Selma to Montgomery march became a watershed moment for the civil rights movement of the 1960s. Following the Civil Rights Act of 1964, which made discrimination illegal based on race, the Selma to Montgomery march was organized to help register black voters in the South and to protest against racially motivated violence. On March 7, 1965, what became known as “Bloody Sunday,” Martin Luther King Jr. along with over 600 marchers were stopped in their tracks by a small army of Alabama police officers. Law enforcement officers on horseback, armed with tear gas and batons, brutally attacked the demonstrators to drive them back to Selma. Two days later, the march continued, and by March 25, the group, now 25,000 strong, had successfully arrived in Montgomery. Five months later, President Lyndon B. Johnson signed the Voting Rights Act of 1965, which made illegal voter discrimination on the basis of race. 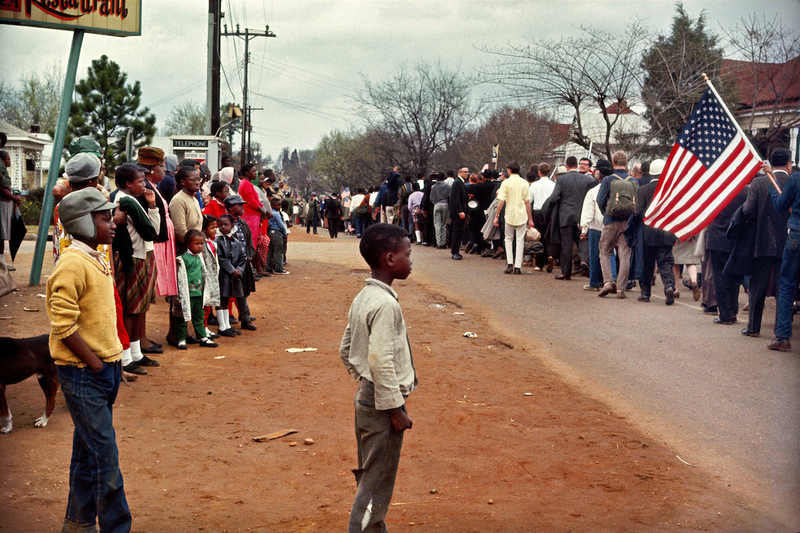 These pictures capture the obstacles, heartbreak, and triumph of the 1965 Selma to Montgomery march.